We have all been had. It turns out that the smartphone discovered by archaeologists – as mentioned in this story – was actually fashioned by a German sculptor who specializes in replicating ancient artefact. The phone was, in all likelihood, created as a marking gimmick and only dates back a few years in time. What would you do if you found a 2800-year-old phone that was possibly left behind by extraterrestrials? 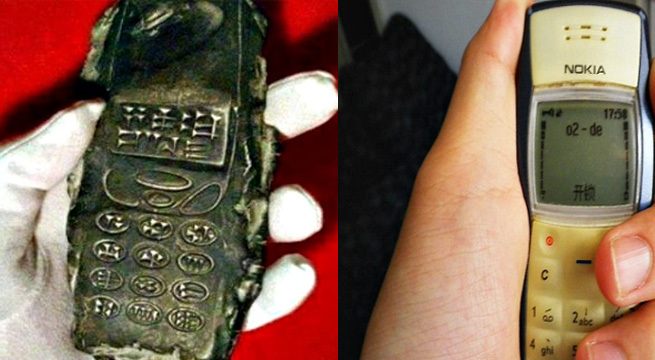 Berlin Archaeologists apparently found an ancient tablet phone – bearing an eerie resemblance to a Nokia device – dug deep within the bowels of the earth in Austria. Found in the city of Fuschl am See, the device that was found to be a Mesopotamian clay tablet cell phone, was left behind the aliens when they created the Sumerian civilisation. The theory suggests that the aliens failed in their attempt to introduce the amazing powers of a cell phone communication. But how did they make the phone in the first place? And did technology really date back so far in the past? Sadly, there are no answers.